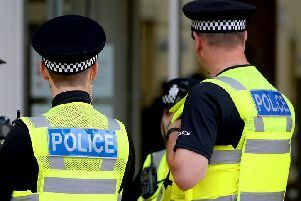 Police searched an area of Burgess Hill after reports came in of a man ‘wielding an axe’. A Sussex Police spokesman said officers received the report shortly before 7pm on Tuesday (November 6). A spokesman said: “Shortly before 7pm on Tuesday (November 6), police received a report of a man with a scythe in Mill Road, Burgess Hill. “According to the informant, who refused to provide his details, the man was causing damage to items including cars and recycling bins. “Officers carried out an extensive search of the area, however there was no trace of the suspect and no trace of any damage.